It would be wonderful for any artist to manage to get a hare (or any other animal) to stand perfectly still or remain suspended in the air during a single leap or bound, long enough to produce a detailed painting! This coloured pencil drawing of a brown hare is one of several that are being created in preparation of a forthcoming wildlife art demo and follow-up wildlife art workshop for an art group in Surrey. 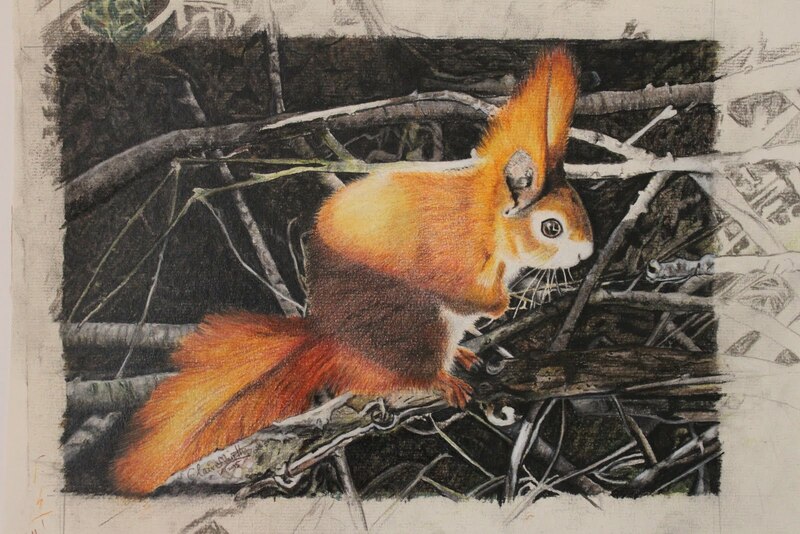 At the demo, the hare will be drawn using coloured pencils, a slow medium – so some sample drawing is useful to become familiar with the subject enough to complete it from a line drawing in just a couple of hours, when detailed realistic coloured pencil drawings and paintings can take up to 40 (plus) hours to complete, depending on the level of detail. 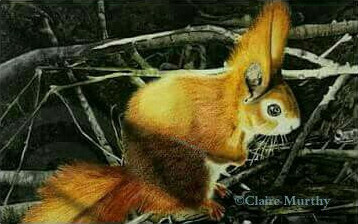 This painting or coloured pencil drawing of a hare is realistic but not so much that it becomes a photographic depiction of a hare - it retains a level of creativity in its representation. Spring Wildlife Art Demo – Paint a Hare. 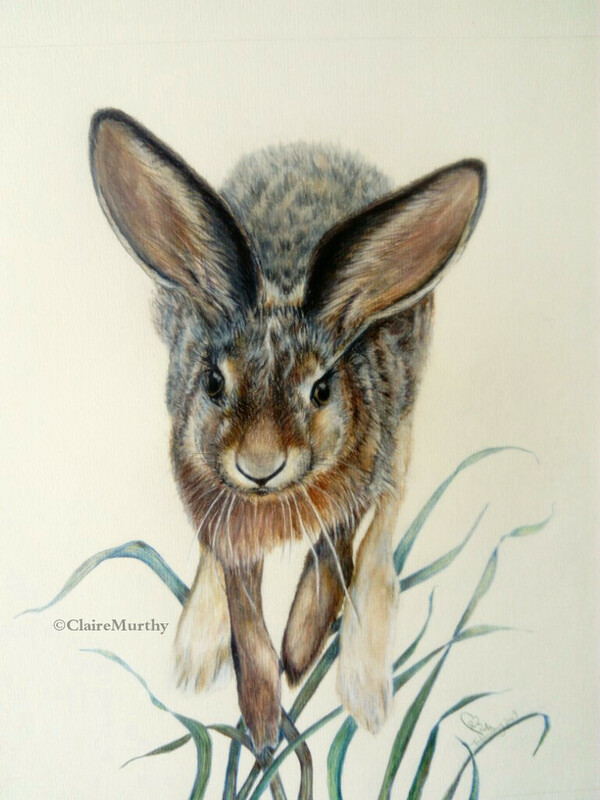 Painting a hare is not a new idea for a Nature artist; traditional fine art paintings of wildlife have often included countryside hares of Britain. 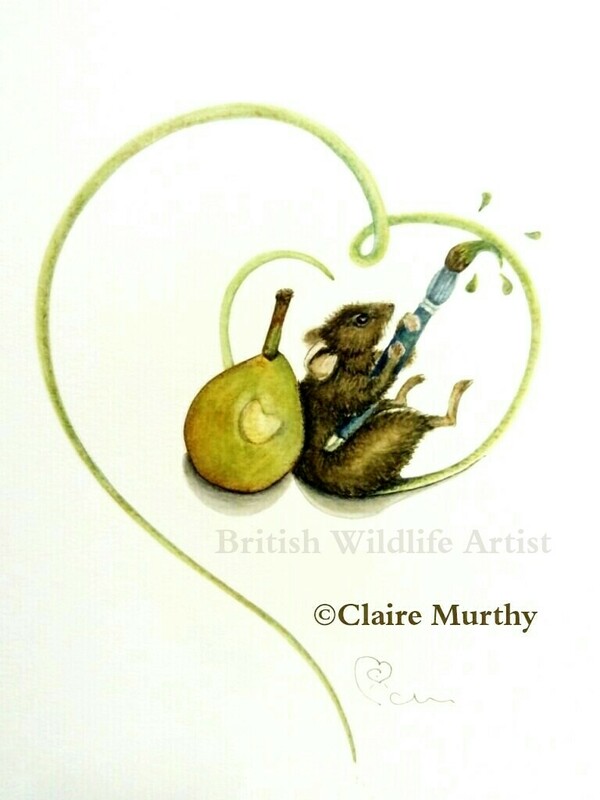 As Spring is in the air (although it is still February), it seems a fitting subject to paint for a wildlife art demo and might become the subject of a wildlife art class next Spring, as it is a wonderful subject to paint - and hares are quite fascinating in the field, in art and in nature writing. Fine Art Painting of a Hare. Albrecht Durer’s watercolour and gouache painting ‘Young Hare’ was done over 500 years ago and is regarded by many as a masterpiece of wildlife observational art. It is not known how Durer captured the realistic detail of the hare. He might have sketched and painted the wild animal from life; this would not have been too difficult if it had been kept as a live subject in his studio. Alternatively, he might have sketched a wild brown hare first and then completed the painting back in the studio, perhaps referring to dead specimens for the detail. Finding a dead animal and using it as reference material is not every wildlife artist’s cup of tea – nowadays, watching live wildlife can be done in the field, or at a wildlife sanctuary, and photographs might be additional reference material used to fill in the details of the animal’s fur and features. Original specimens might be available to view at museums, wildlife centres and other locations concerned with natural history and the environment. 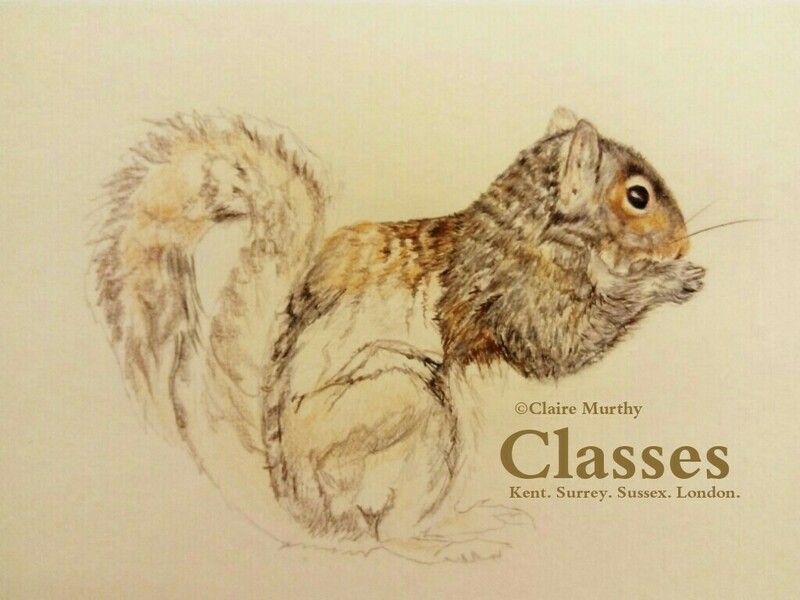 Keeping a nature journal or sketchbook is a great way to study and draw, or ‘get to know’, any wild animal and can be used to produce an outline sketch of an animal from which to progress to more detailed work back in the studio or wildlife art class, workshop or demo. Hares used to be a familiar sight along the Sussex Downs and surrounding areas, but their numbers have been declining over the years. 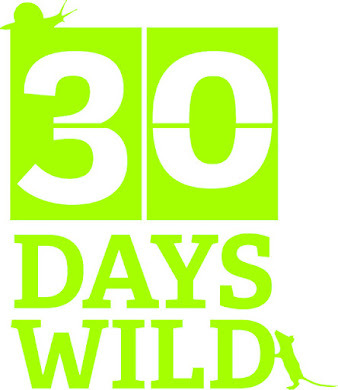 However, it is still possible to spot wild brown hares - Lepus europaeus – in the relatively local countryside of Sussex (including the Downs), Surrey and Kent in the South East of England, but you would have to be very quick to paint one in the field, as they can sprint at over 45 mph with those incredibly long and powerful hind legs!